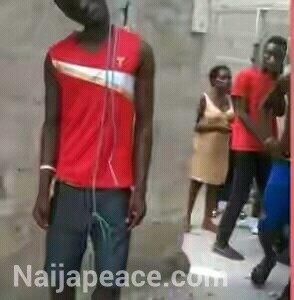 a guy committed a suicide after checking his utme results. UTME MADNESS;it is quiet irritating and uncalled for; so d news dat some people scored less than and some people scored more than 300 is no longer a surprise as we see these things year in and year out.a student who allegedly killed himself bcos of his utme result. the boy claim to be a first timer reportedly scored 159 which gives him no chance of admission. jamb do something very urgent..